We would have taken our $1,000 back by now. Tesla CEO Elon Musk captured a ton of headlines when he launched his personal . We would never accuse the billionaire of trying to turn our attention away from the with this stunt, but we can't forget that the company is dealing with some . Tesla had over half a million preorders for the Model 3 sedan. Customers only had to place a $1,000 deposit in order to preorder one, but customers are starting to because of the production delays. It seemed almost too good to be true to get an affordable Tesla for around $35,000 with just a $1,000 deposit. However, when Tesla announced that the first deliveries would be to employees and those who ordered the more expensive Model 3s that cost closer to $50,000, those early adopters started to panic. 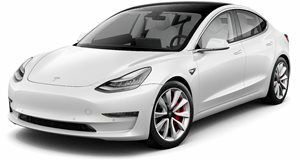 And people who only want the bare-bones Model 3 for $35,000 are still waiting. Unfortunately, getting their $1,000 is turning out to be more difficult than expected. reports that Tesla Model 3 reservation holders may have to wait upwards of three months before they get their $1,000 deposit back. In its most recent earnings call, Tesla reported that is holding $600 million in deposits, mostly for the Model 3. This sounds like a lot of money, but Tesla is spending money at an alarming rate trying to meet Model 3 demand. Tesla needs the Model 3 deposits to help build more cars. The company is concerned that if it doesn't reach its goals of building 2,500 cars per week by the end of March and 5,000 cars per week by the end of Q2, even more customers will start demanding refunds. This issue could get even worse when the $7,500 EV tax credit goes away. If we were waiting for our Model 3, we'd think about taking our deposit back. It really depends on how quickly we needed a new car. If our old car was on its way out, we'd consider caving in and buying an alternative EV like the Chevy Bolt, or a plug-in hybrid like the Kia Niro PHEV. For some people, the thought of owning a Tesla is just too tempting, but we can think of a lot of things that we could do with that $1,000 other than help Tesla stay afloat.